25 IHOPs in the Triangle. 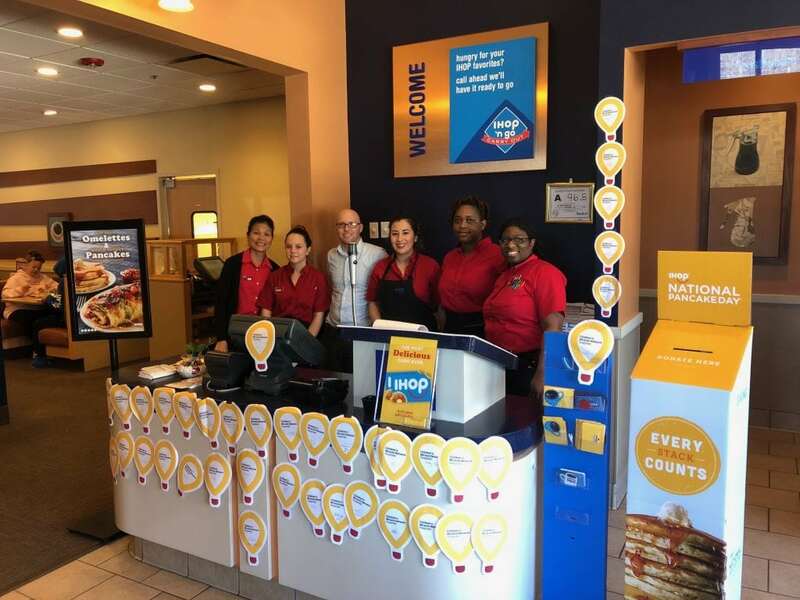 Triad, Fayetteville, and Wilmington areas culminated their fundraising efforts for Duke Children’s on National Pancake Day, February 27. 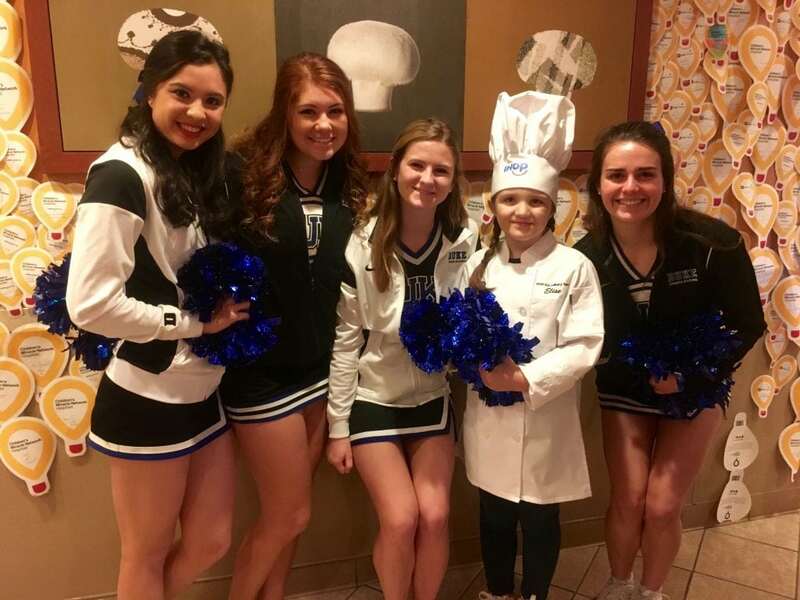 The IHOP in Cary had a special celebration for IHOP Kid Culinary Chef finalist and Duke Children’s patient Elise Bromund. 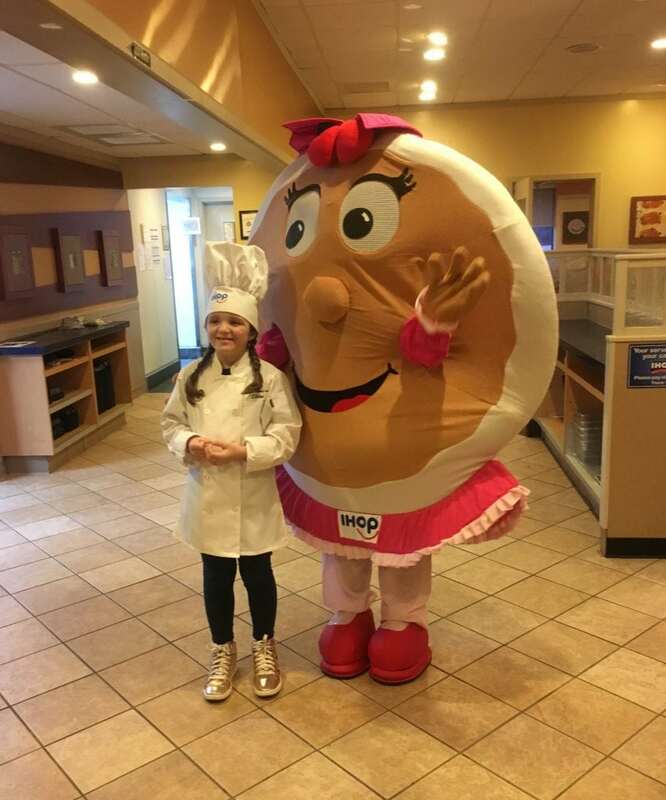 Elise’s pancake recipe was chosen as one of three finalists in IHOP’s Kid Culinary Chef contest, and she got to fly out to California, visit IHOP headquarters, and cook her recipe at IHOP’s test kitchen. 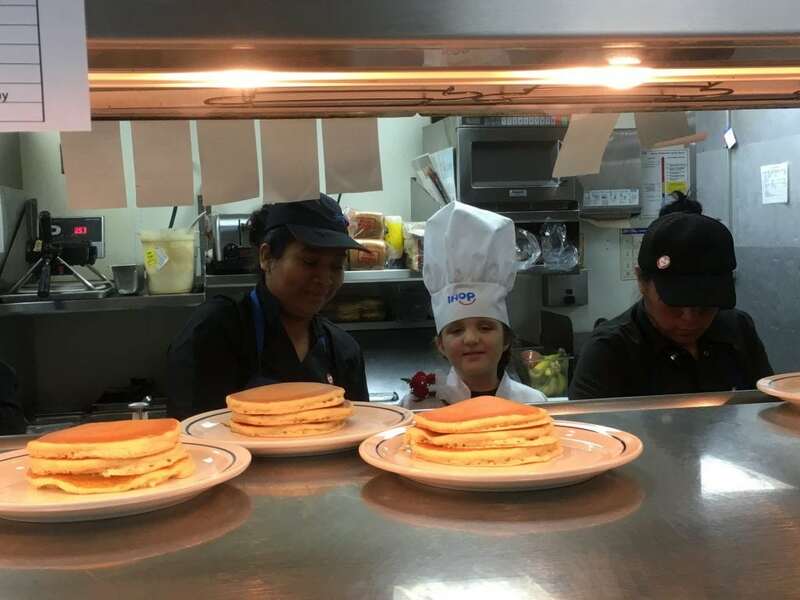 On Pancake Day, Elise was featured in a special ribbon-cutting ceremony at the Cary IHOP, flipped the ceremonial first pancake, and helped out in the IHOP kitchen. 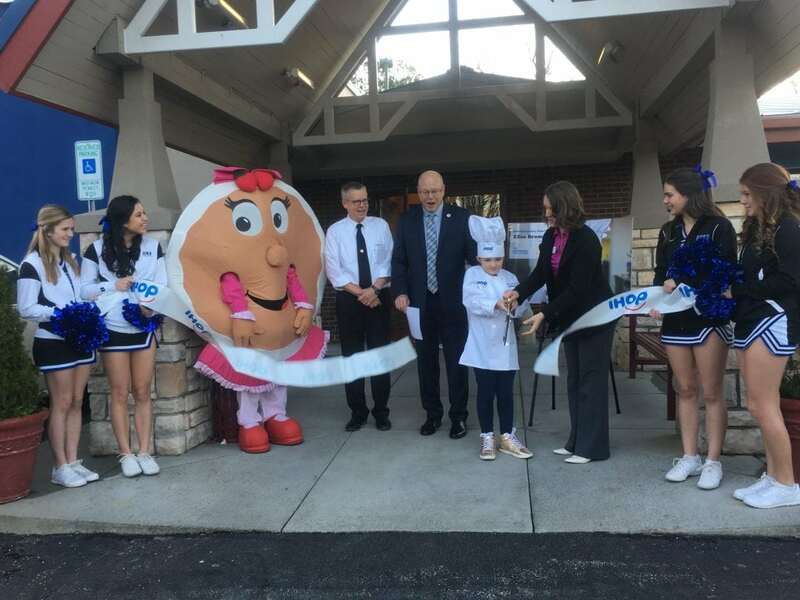 IHOP mascot Susie Pancake, Duke University Cheerleaders, Cary Police and Firemen, and Jim Kelly of MIX 101.5 were all on hand to help out with the celebration! 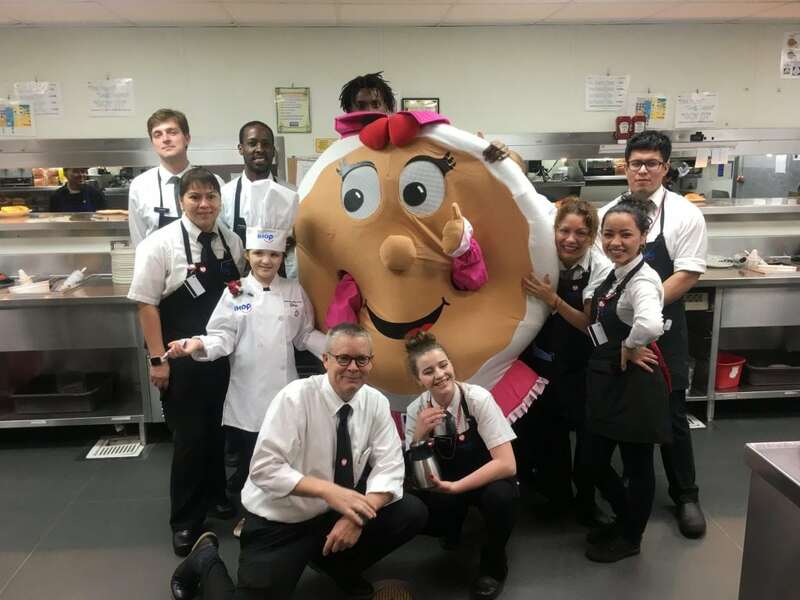 We hope everyone had a delicious and happy National Pancake Day! 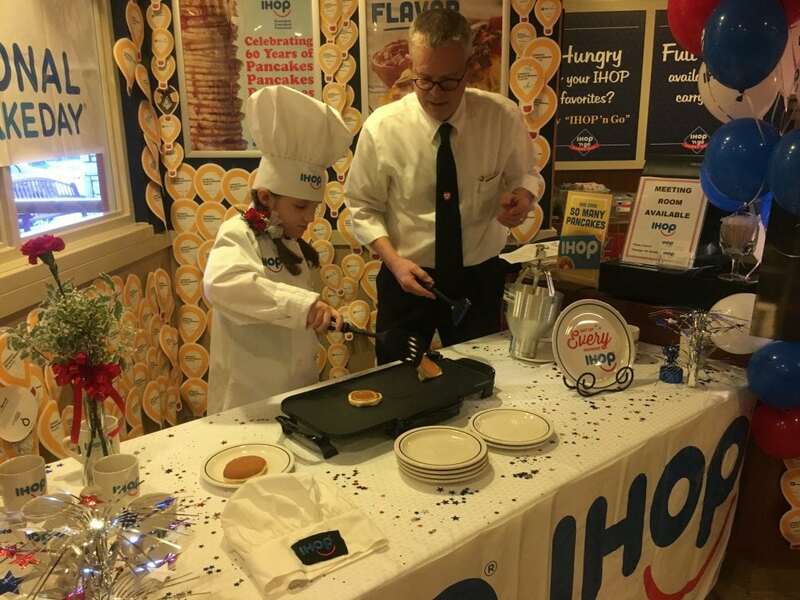 Nothing is tastier than Pancakes for a Purpose! 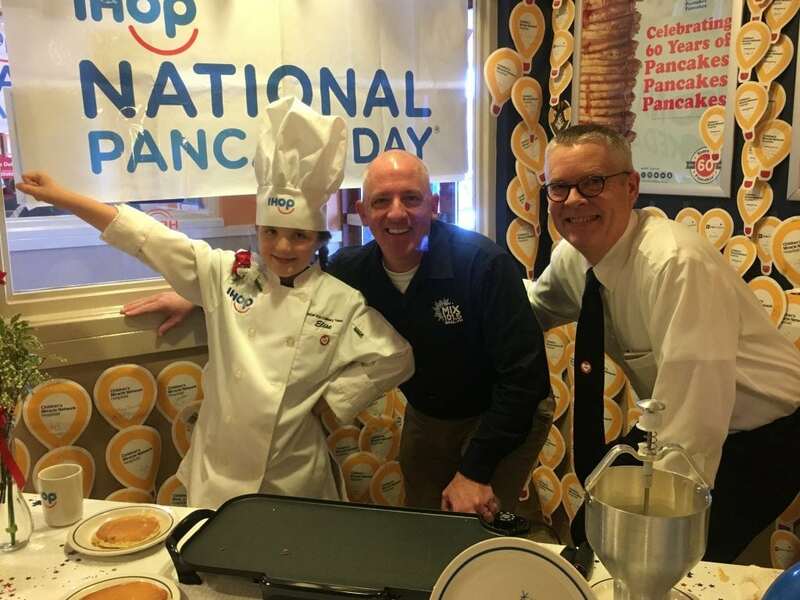 Previous post: National Pancake Day Success!